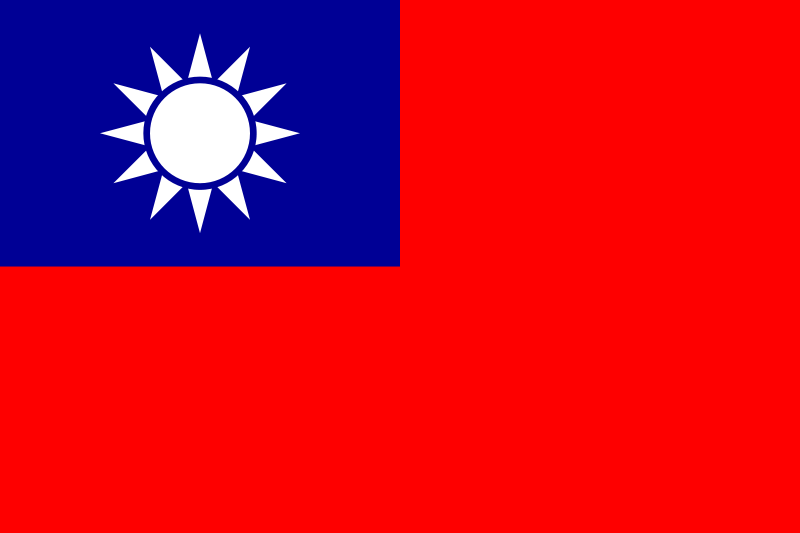 The FDC is about Wild Mushrooms of Taiwan (3rd series). 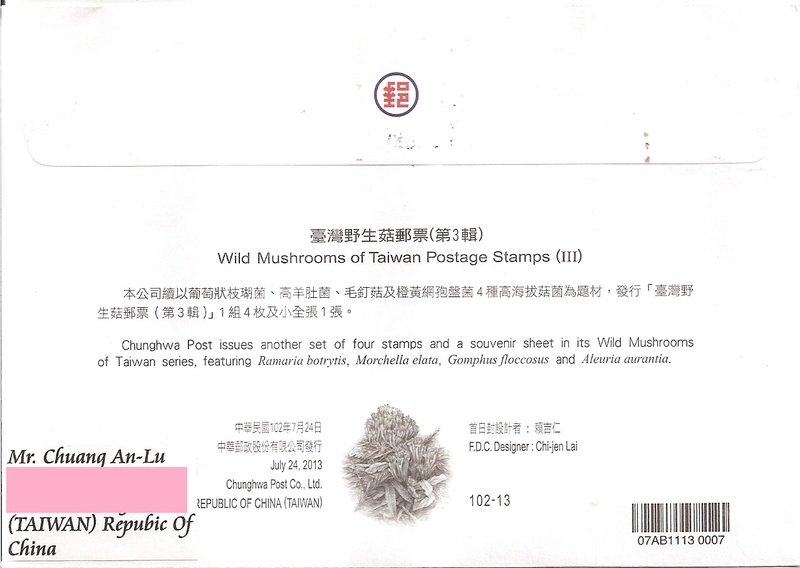 On the cover, Chuang affixed one mushroom stamp and a postage label. 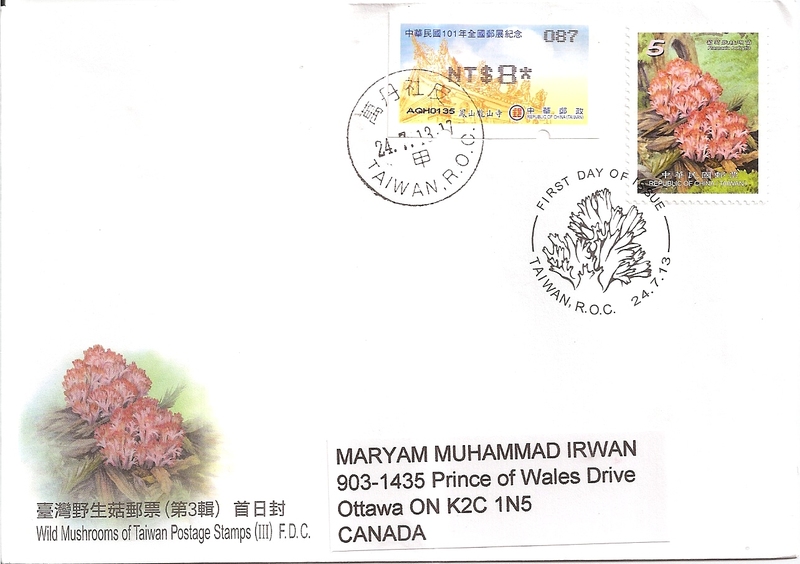 The postmark date is 24 July 2013.